We are happy to report to our neighbors to the North that BMW will be reducing pricing for the 2009 model year. Over the past few months several of our readers had asked us about our feelings on pricing for 2009, though we had heard rumors of a price reduction we could not confirm it. It is official, and though they are a bit more than in the US, they are cheaper and have more standard options than in the past. A step in the right direction for you. No diesel pricing still (We had hoped it may indicate what is in store for the US as well) but will hit dealers by December. BMW Canada announces MY 2009 Product and Pricing Updates 09/16/2008 Whitby. BMW Canada announced today pricing and equipment details of the 2009 model year lineup. 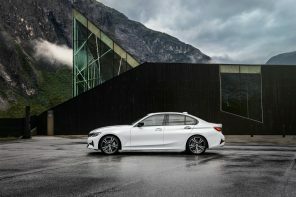 The new 3 Series Sedan and Touring highlight the new model offerings, while MSRP reductions ranging from $1,000 -$7,000 depending on model complemented by upgraded equipment levels, represent increased value for consumers. “The Canadian market remains intensely competitive and premium brand consumers are benefiting,” stated Kevin Marcotte, Director Marketing, BMW Canada. “Our 2009 product offerings, including diesel engines in the new 3 Series Sedan and X5 Sports Activity Vehicle later this year provide Canadians with even more choice to enjoy our brand promise of delivering The Ultimate Driving Experience.” The following summary outlines key features of 2009 BMW model lineup. BMW 3 Series family The entire 3 Series model range transitions into MY 2009 with: -across-the-board MSRP reductions of $1,000 to $1,100. -new standard equipment which, in conjunction with the revised pricing, add from $2,180 to $4,500 of additional total value, depending on model. BMW 3 Series Sedans and the 3 Series Touring Defending its position as the benchmark Sports Sedan, the BMW 3 Series Sedan, along with its stablemate 3 Series Touring, inaugurate the 2009 model year with fresh exterior esthetics, safety enhancements, refined interior and ergonomics. Highlights of changes for the 2009 BMW 3 Series Sedan and Touring: – Revised coachwork front to rear, featuring a new front apron with larger air inlets, a more dynamic rear apron, sculpted around a 16 millimetre wider rear track and larger L-shaped taillights with LED technology, creating a wider stance and more dynamic silhouette. – New applications of chrome on controls, revised armrest ergonomics and a larger storage compartment in central console to facilitate external audio devices, lead a myriad of subtle interior refinements resulting in enhanced sophistication and ambiance. – New generation iDrive, available as part of the optional Navigation Package, features an industry-leading 22 cm (8.8 inch) wide Control Display with significantly higher resolution and display graphics. The new generation iDrive controller is more compact and supplemented with direct access keys grouped around the iDrive controller, affording swift and intuitive access to the most commonly used menu items of the iDrive system. -Navigation-equipped 3 Series Sedans and Touring models feature a new internal hard drive with a storage capacity of 80 GB. The system provides outstandingly quick access to digital maps for navigation purposes and can also be used for an extensive collection of music files. The system enables music files to be transferred to the hard drive from a CD, MP3 player or USB stick. – Active Headrests join a long list of standard passive safety features, further reducing the risk of head injury in the event of a rear-end collision. 2009 Pricing and Equipment Upgrades on 3 Series Sedan and Touring 323i – MSRP of $34,900 ($1000 less than MY 2008) plus the addition of Heated Seats, Through-load with Ski bag and Automatic Climate Control as standard equipment – bringing the total added value to $2180 vs. the equivalent MY 2008 model. 328i and 328i xDrive – MSRPs of, respectively, $39,900 and $42,500 ($1,100 less than MY 2008) plus the addition of a Glass Sunroof and Electric Front Seats with Driver Memory as standard equipment – bringing the total added value for both models to $4,000 vs. the equivalent MY 2008 model. 335i and 335i xDrive – MSRP of $48,900 and $52,500, respectively ($1,000 less than MY 2008), plus the addition of Dakota Leather and BMW Assist with Bluetooth as standard equipment – bringing the total added value for both models to $4,500 vs. the equivalent MY 2008 model. 328i xDrive Touring – MSRP of $44,100 ($1,000 less than MY 2008) while adding a Glass Sunroof and Electric Front Seats with Driver Memory as standard equipment – a total added value of $4,200 vs. the equivalent MY 2008 model. BMW 3 Series Coupé and Cabriolet While the 2009 3 Series Coupés and Cabriolets do not share the redesigned exterior of the new Sedans, standard equipment and pricing adjustments keep pace with the rest of the 2009 3 Series range. Optional equipment also receives two notable enhancements with the introduction of: – an all-new, 2nd-generation hard-drive based iDrive with large 22cm (8.8”) high-resolution screen and improved display environment – included in the optional Navigation Package. – SIRIUS Satellite Radio with 1 year subscription – included in the optional Premium Sound Package 328i Coupé and 328 xDrive Coupé – MSRPs of, respectively, $42,600 and $45,100 (both $1,000 lower than MY 2008) while adding a Glass Sunroof and Electric Front Seats with Driver Memory as standard equipment – a total added value of $3,900 vs. the equivalent MY 2008. 328i Cabriolet – MSRP of $55,600 ($1,000 lower than MY 2008), adding Dakota Leather as standard equipment – a total added value of $3,400 vs. the equivalent MY 2008 model. 335i Cabriolet – MSRP of $65,600 ($1,000 lower than MY 2008), adding BMW Assist with Bluetooth as standard equipment – a total added value of $2,100 vs. the equivalent MY 2008 model. BMW 3 Series Diesel The MY 2009 3 Series lineup will expand in late 2008 with the introduction of the BMW 335d, featuring a 3.0-litre in-line six cylinder diesel engine with Variable Twin Turbo Technology and Selective Catalytic Reduction (SCR) management system with urea injection. With a maximum output of 265 hp and peak torque of an astonishing 425 lb-ft., the 3.0-litre AdvancedDiesel with BluePerformance will not only provide sports-car-like acceleration and driveability, but offer a whole new level of fuel efficiency and emission reduction. Preliminary performance figures for the BMW 335d indicate a potent acceleration capability of 6.2 seconds to achieve 0-100 km/h while delivering an unprecedented average fuel economy rating of 8.5/5.3 litres per 100 km (city/highway). The introduction of AdvancedDiesel with BluePerformance in Canada represents another important milestone in the ever-expanding strategy of BMW Efficient Dynamics to ensure industry leadership in the development of dynamic and environmentally sensitive solutions for current and future mobility. Pricing and additional technical information specific to the much anticipated BMW 335d will be communicated closer to the market launch in the fourth quarter of 2008. 2009 BMW 5 Series family The entire 5 Series model range also heads into MY 2009 with: -across-the-board MSRP reductions. -revisions to standard equipment which, when combined with MSRP reductions, add from $1,300 to $6,600 of additional value vs. 2008, depending on model. -new Premium and Audiophile Sound packages, featuring an upgraded sound system, USB Audio Integration and SIRIUS Satellite Radio with a 1 year free subscription. 2009 Pricing and Equipment Upgrades on 5 Series Sedans and 5 Series Touring 528i and 528i xDrive – MSRPs of, respectively, $56,200 and $58,800 (both $3,700 lower than the 2008 MSRP). Added standard equipment includes new 17” Double-spoke Alloy Wheels, Power-folding Auto Dimming Exterior Mirrors, Auto Dimming Interior Mirror, Lights Package with illuminating door handles, front footwell and entry lights and Leatherette upholstery. Dakota Leather upholstery is now included in the optional Premium Package. 535i xDrive and 535i xDrive Touring – MSRPs of, respectively, $68,900 and $71,000 (both $2,600 lower than the 2008 MSRP). Added standard equipment includes new 17” Double-spoke Alloy Wheels, Power-folding Auto Dimming Exterior Mirrors, Auto Dimming Interior Mirror, Lights Package with illuminating door handles, front footwell and entry lights. The combination of MSRP and equipment adjustments delivers a total added value of $2,600 vs. the equivalent 2008 models. Note: due to the overwhelming popularity of the 535i xDrive model, the 535i will not be offered as a 2009 model. 550i – MSRP of $80,400 ($2,500 lower than the 2008 MSRP). Added standard equipment includes Park Distance Control and Navigation System with Voice Control, a total added value of $6,600 vs. the equivalent 2008 model. M5 Sedan The mighty 500 horsepower V-10 equipped ultra-high performance BMW M5 carries over into the 2009 model year with minimal changes and an MSRP reduction of $6,400 vs. MY 2008. A modest equipment adjustment deletes rear side airbags from the standard equipment list. BMW 6 Series The magnificent BMW 650i Coupé and 650i Cabriolet both carryover into MY 2009 with an MSRP reduction of $6,000. While the extensive list of standard equipment remains intact, a new optional Sport Package includes new 19” Double-Spoke Alloy Wheels, M Sport Suspension, M Multifunction Leather Sport Steering Wheel, Contoured engine compartment lid, Anthracite Roof Liner, Exhaust System with enhanced acoustics and tailpipes in Dark Chrome and two new exclusive paint finishes: Imola Red and Carbon Black An updated Executive Package now includes SIRIUS Satellite Radio tuner with 1-year subscription and the BMW Individual Audio System with Dirac Live™ technology, replacing LOGIC7. M6 Coupé and Cabriolet The potent 2009 BMW M6 Coupé and M6 Cabriolet both carryover into MY 2009 with an MSRP reduction of $7,000 vs MY 2008. While the extensive list of standard equipment remains intact, a new Audiophile Sound Package now includes the BMW Individual Audio System with Dirac Live™ technology, SIRIUS Satellite Radio tuner with 1-year subscription and USB Audio Integration. BMW X3 Sports Activity Vehicle The 2009 BMW X3 SAV will be offered in only one variant, the X3 xDrive30i. Based on the 2008 X3 3.0si, the 2009 X3 xDrive30i has an MSRP of $45,300 the standard equipment list includes the 260 hp 3.0 litre engine, 6-speed automatic transmission, Heated Steering Wheel, Electric Seats with Driver Memory, Automatic Climate Control and Privacy Glass. When compared to the predecessor X3 3.0si, the revised pricing of the 2009 X3 xDrive30i represents a total added value equivalent to $5,600. The following features, which were previously standard on the 3.0si, are now available as stand alone options or as part of a package: Xenon headlights, Wood trim, 18” wheels and Storage compartment package. BMW X5 Sports Activity Vehicle The X5 xDrive30i and xDrive48i carryover into MY 2009 with MSRP reductions, the 30i model with modest equipment revisions. X5 xDrive30i – MSRP of $58,200 ($3,700 lower than the MY 2008 X5 3.0i). Nevada Leather upholstery is now optional, with the 6-speaker audio system replacing the 12-speaker system. X5 xDrive48i – MSRP of $71,500 ($2000 lower than the MY 2008 X5 4.8i). No changes to standard equipment. BMW X5 Diesel The X5 xDrive lineup will be joined by a much anticipated third model late in 2008, the X5 xDrive 35d AdvancedDiesel with BluePerformance. The new X5 diesel will be powered by the same 3.0-litre straight-six diesel engine with Variable Twin Turbo Technology as the 335d, with a maximum output of 265 hp and an astounding peak torque of 425 lb-ft. Particularly harmonious with the agile X5 platform, the AdvancedDiesel with Blue Performance, in combination with the high-efficiency 6-speed automatic transmission with Steptronic, will set new performance standards in the segment, accelerating from 0-100 km/h in 7.2 while delivering remarkably thrifty fuel consumption of 10.7/7.5 litres per 100 km (city/highway). Pricing and additional technical Information on the much anticipated X5 xDrive35d will be communicated closer to the market launch in the fourth quarter of 2008. BMW 1 Series Coupés and 1 Series Cabriolets Freshly introduced in the spring of 2008, the new 1 Series Coupés and Cabriolets have quickly staked out a unique and resoundingly popular place in the premium sport compact segment. Still one of BMW’s “new kids on the block” and continuing to gain momentum, all 1 Series models transition into MY 2009 without major changes to standard equipment. Optional equipment, however, receives two notable enhancements with the introduction of: – an all-new, 2nd-generation hard drive based iDrive with fixed 22cm (8.8”) high-resolution screen and improved display environment – included in the optional Navigation Package. – SIRIUS Satellite Radio tuner with 1 year subscription – included in the optional Premium Sound Package The MSRP of all MY 2009 1 Series in unchanged from MY 2008. BMW X6 Sports Activity Coupé The exciting new X6 xDrive35i, launched in April of 2008, has very quickly carved out a special niche with its bold new 5-door Coupé styling, power delivered via the acclaimed BMW inline 3.0 litre 300 horsepower twin-turbo engine and introduction of the latest evolution of BMW’s sophisticated xDrive all-wheel-drive technology – Dynamic Performance Control, redefining the definition of all-wheel stability and dynamic handling. Carrying over into MY 2009, the X6 xDrive35i continues its momentum with the $63,900 MSRP unchanged from the introductory 2008 model. Joining the X6 xDrive35i in BMW showrooms and arriving in November 2008, the new X6 xDrive 50i will debut with an all-new 400 horsepower, twin-cam, twin-turbo V8 engine with direct injection and dual-VANOS infinite camshaft management. Generating an incredible 450 ft/lb of torque, and also equipped with Dynamic Performance Control, the new X6 xDrive50i takes its place as the most powerful X model in the BMW lineup, capable of accelerating from 0-100 km/h in just 5.6 seconds. The 2009 X6 xDrive50i launches with an MSRP of $78,100. M3 Coupé, Sedan and Cabriolet The M Power lineup returned to full strength in 2008 with the debut of the long-awaited all- new M3 Coupé, Sedan and Cabriolet. The new M3 trio transcends their legendary predecessors with a spectacular new high-revving 4.0 litre aluminum V8 with dual-VANOS variable camshaft control, mated to a new six-speed manual transmission with dual-plate clutch. Producing a magnificent 414 hp @ 8300 rpm, the new M3s set a new benchmark for performance and driving dynamics while their assertive new coachwork, with the Coupé version featuring the first carbon-fibre roof in its segment, make the most confident M3 statement yet. All 2009 M3 models are available with optional 7-Speed M Double Clutch Transmission with Drivelogic. 2009 M3 MSRP and equipment levels are unchanged from MY 2008. The final month of production for the current generation BMW Z4 was August 2008. No information is currently available on a successor. The MY 2009 BMW 1 Series, 3 Series, 5 Series, 6 Series and X3 models will be in BMW showrooms by October of 2008 –X5 and X6 models arrive slighter later in November, with the new diesel models scheduled for a December debut. 323i touring? Am I reading that correctly? There was only a 328xi touring until this point in the Canadian market if I’m not mistaken. Any news on “improvement of” the Canadian version of the European Delivery prog.? ?